The other day I showed you the antique spice cabinet I had from my Mom. 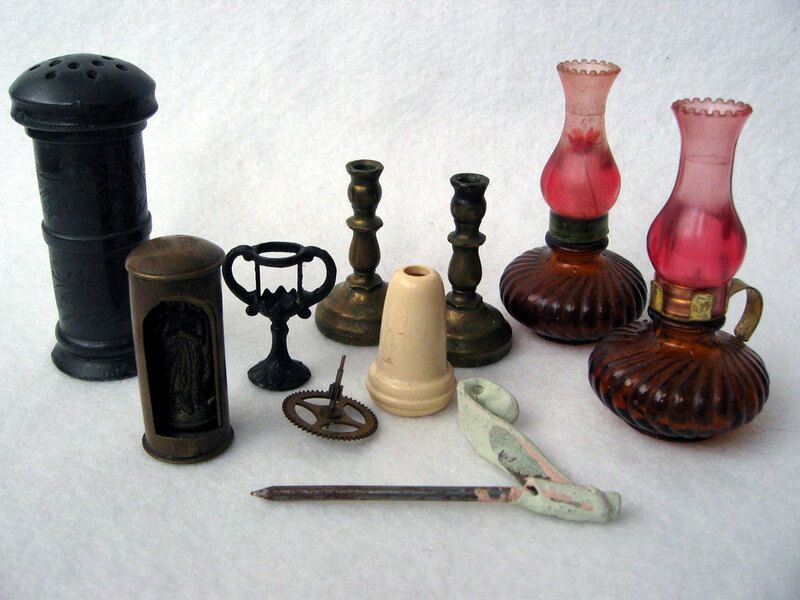 Inside one of the drawers was an assemblage of various items. The drawer itself is not large, about 4 inches wide by 4 inches deep. Salt? 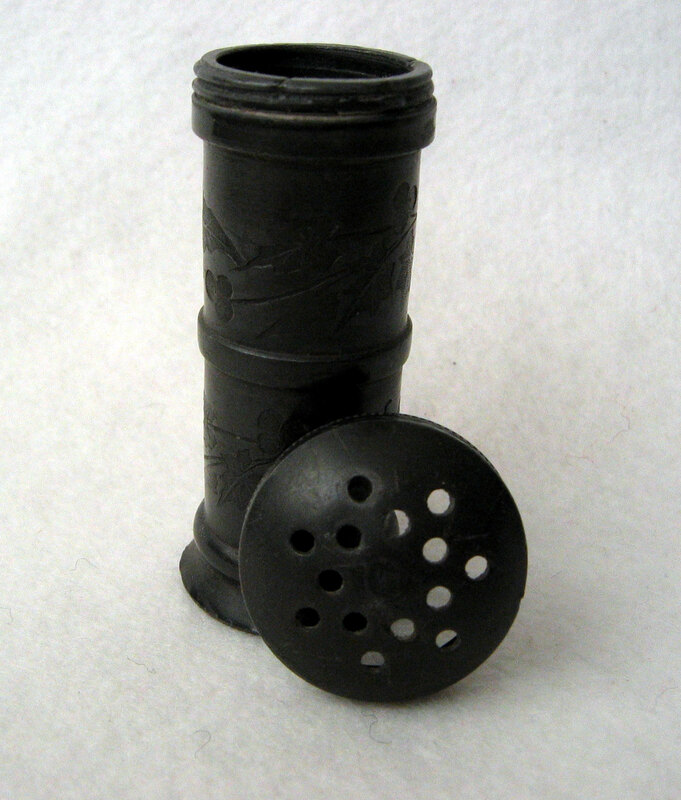 Pepper? Something else? The holes are rather large and there are a lot of them. One quick shake of any spice would be more than enough. 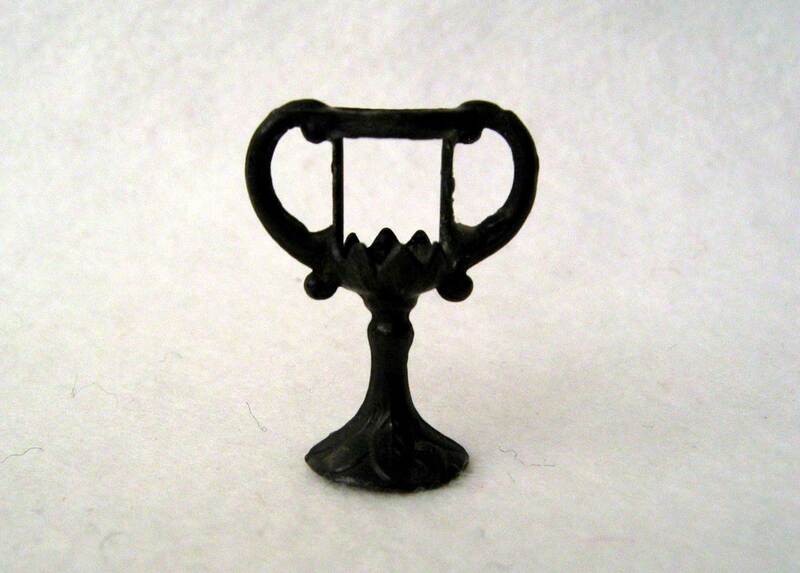 It’s about 3 inches tall and less than an inch in diameter. Heavy for the size. Not sure what metal. I do love the floral and leaf texture on this piece. 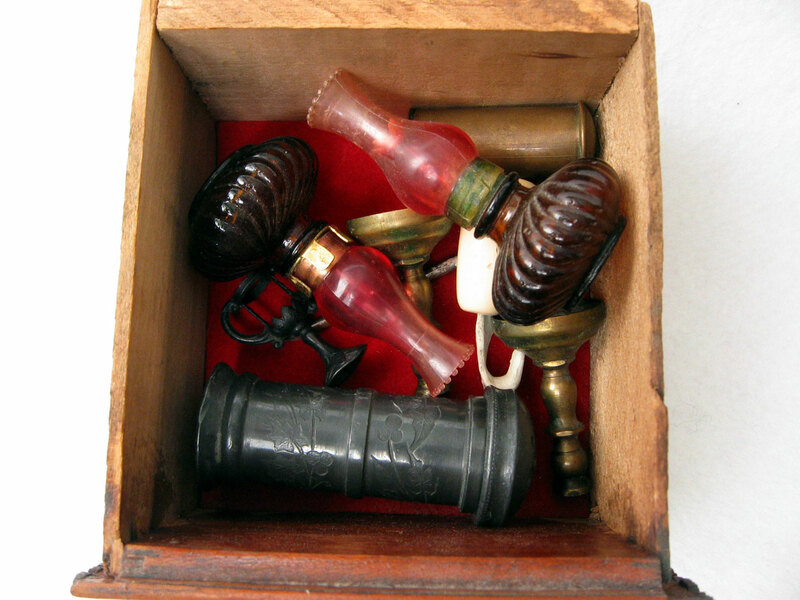 These little gems used to contain perfume or eau du cologne. A faint scent still lingers. One has lost the handle but has a very small dried flower stuck in the shade. 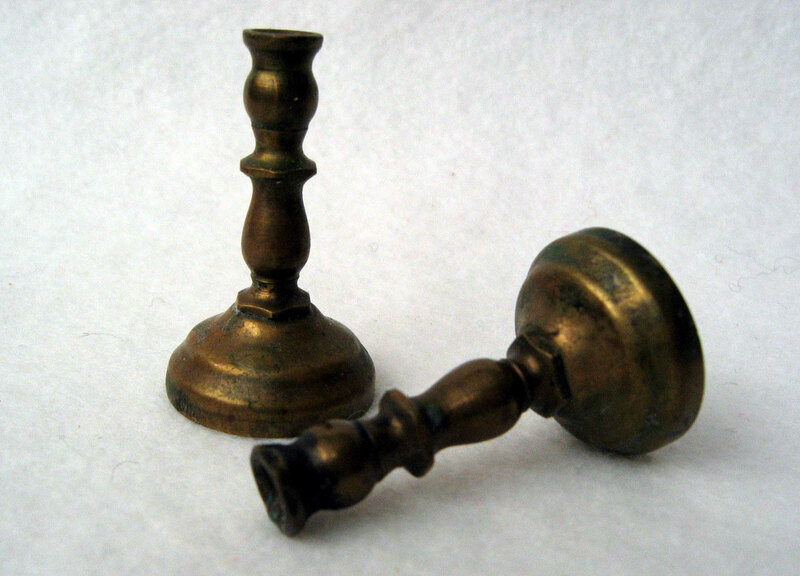 When closed, this looks like a small brass pipe with enclosed ends. But turning the outer layer reveals a small statue of Our Blessed Virgin Mary, the Mother of Jesus. Small enough to fit in a pocket of purse, Mary can be with one always. Birthday cake candles fit in these less-than-two-inches tall candlesticks. Actually I’m not sure what this is. A birthday cake candle would be too small to fit in it without wobbling. Perhaps there are missing parts to this piece. A Venetian blind cord pull. 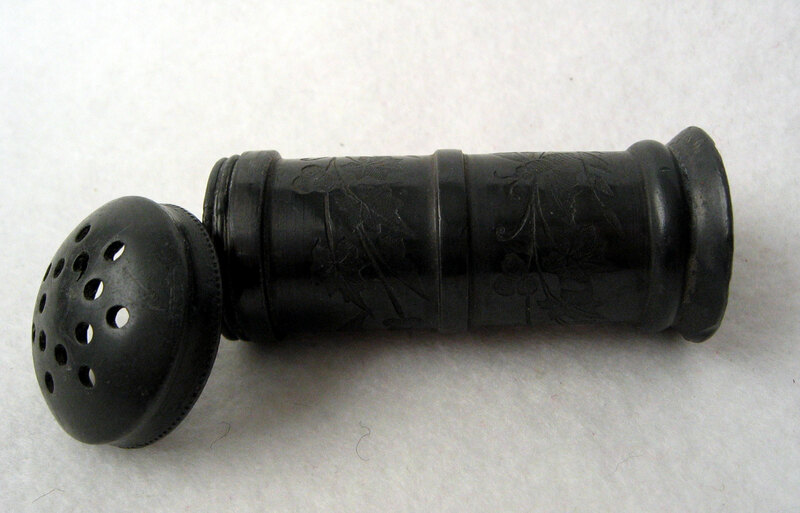 A large picture hook and nail. 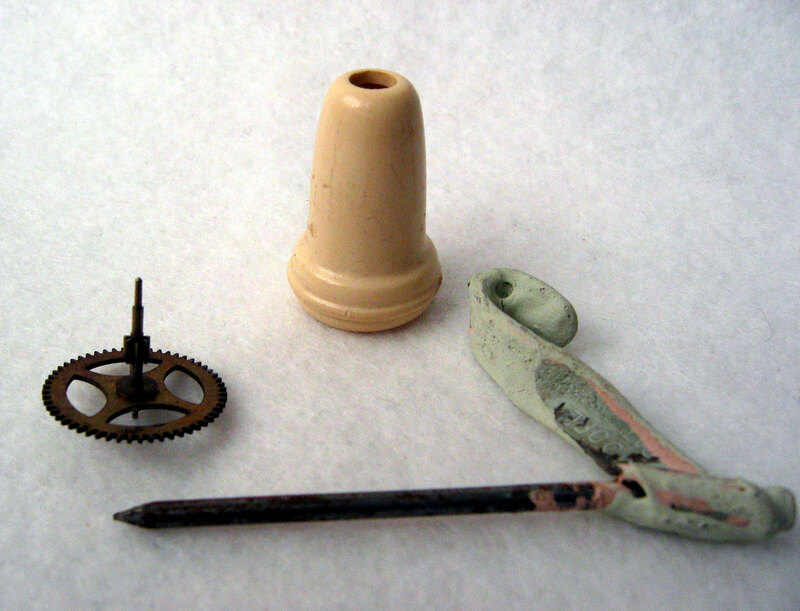 A small gear. This entry was posted in cleaning, NaBloPoMo, Random and tagged antiques, Blessed Virgin Mary, cleaning, NaBloPoMo, random thoughts by Patti_is_knittinginflashes. Bookmark the permalink. How very interesting. They all looked so large to start. What a neat find! I especially like the Mary-in-your-pocket. 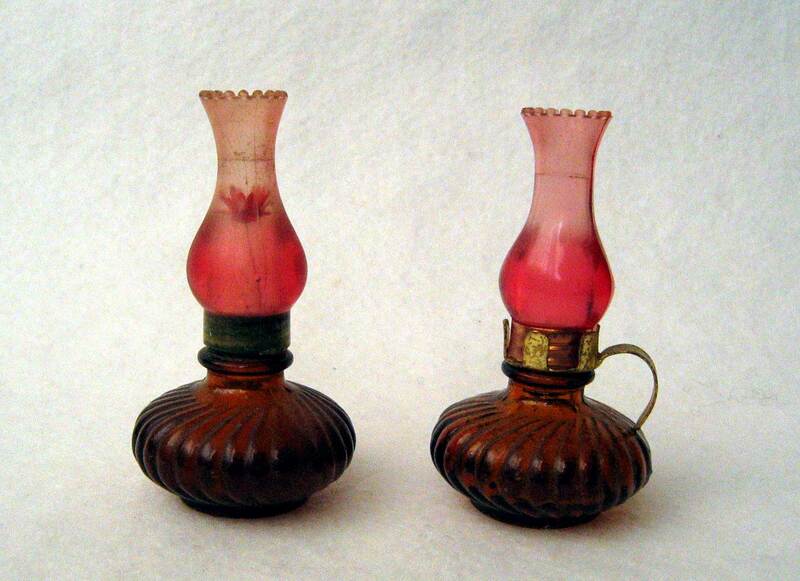 Are there any markings on those little oil lamps?